2 Bdrm Grnd flr Flat. Hall. Lounge. Dining kitch. 2 Bdrms. Bathrm (CT band - D). Price over £168,000 Entry by arr. Viewing contact solicitors. (EPC band - C). Forming part of a modern residential development, we are delighted to present for sale this TWO BEDROOMED GROUND FLOOR FLAT which represents an ideal first time purchase or buy to let investment. 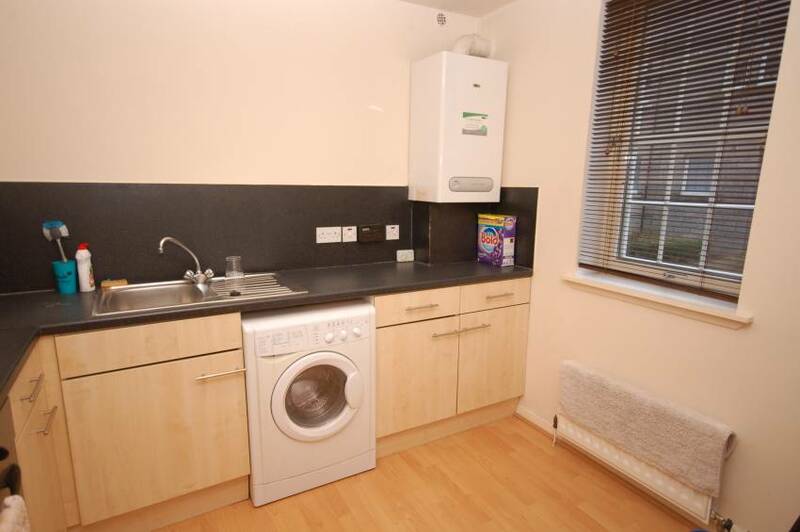 The property benefits from gas central heating, secure entry system and double glazing. The accommodation includes Entrance Hallway boasting large shelved storage cupboard, bright and spacious Lounge with two front-facing windows overlooking the quiet street, fully fitted Dining Kitchen accessed directly from the Lounge, two Double Bedrooms each with built in storage and Bathroom fitted with white three piece suite comprising W.C, wash hand basin and bath with electric ‘Mira’ shower overhead. All floor coverings, curtains and blinds, light fittings and white goods are included in the sale price. On street permit parking may be available upon application to Aberdeen City Council. Viewing is highly recommended to appreciate the full potential of this property! Entrance Hallway: Hallway with secure entry handset; wood-effect vinyl flooring; smoke detector and large shelved storage cupboard. Lounge (13’3 x 11’6 approx. 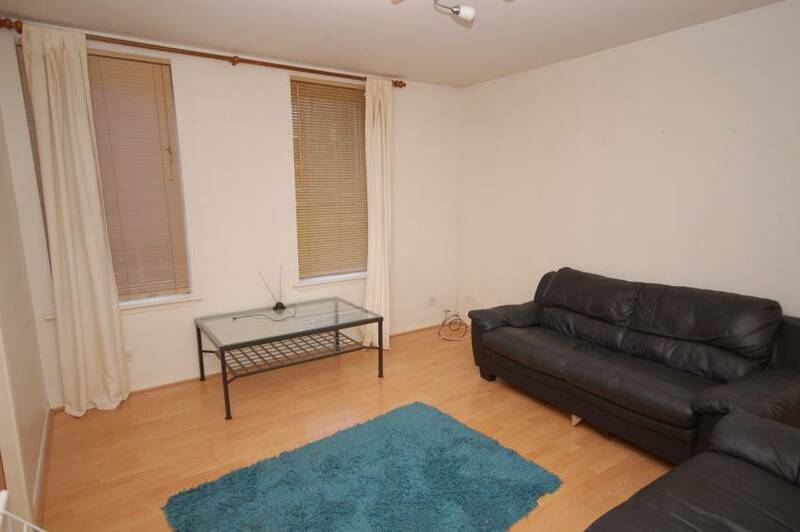 ): Bright and spacious room situated to the front of the property with two windows overlooking the quiet street; wood-effect vinyl flooring; large radiator; decorative light fitting. Dining Kitchen (9’4 x 9’5 approx. 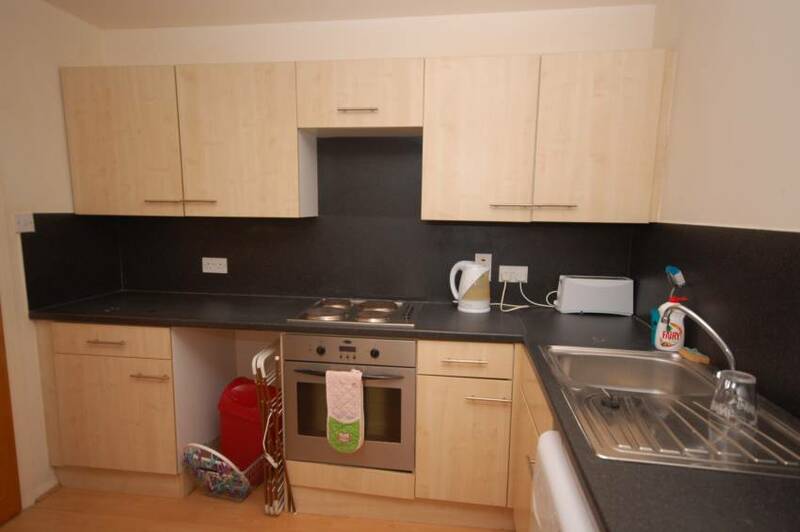 ): Accessed directly from the Lounge, well equipped Kitchen with a range of wall and base units; co-ordinating work surfaces with splash-back paneling; fully integrated cooker and hob; stainless steel sink with drainer; front facing window and radiator. Ample dining space. Double Bedroom One (12’7 x 9’7 approx. 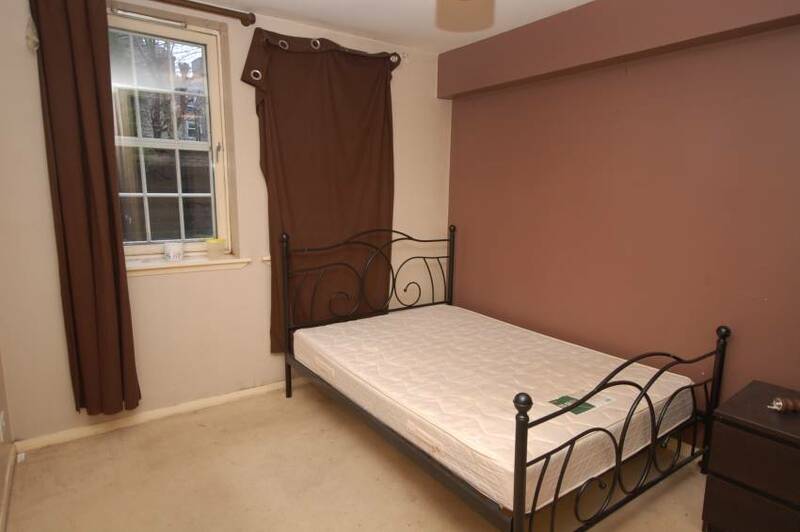 ): Double bedroom situated to the rear of the property, fitted with double built in wardrobe with sliding mirrored doors; carpet and radiator. Double Bedroom Two (12’7 x 7’7 approx. 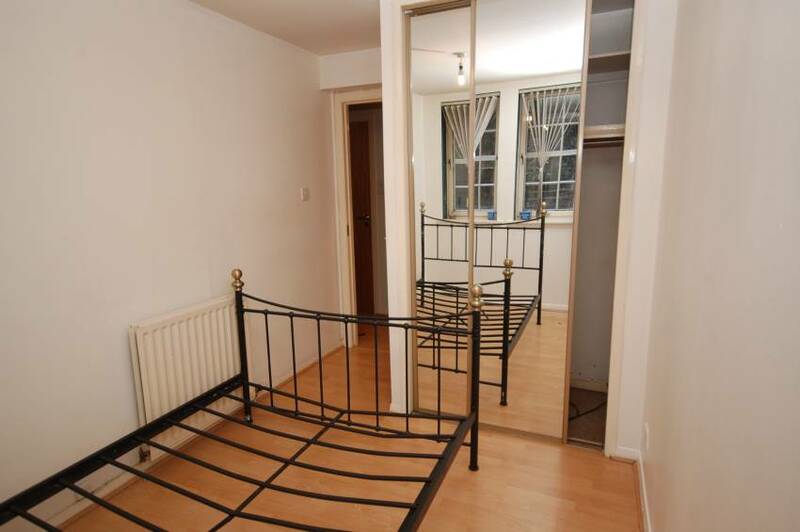 ): Further double bedroom to the rear, fitted with built in wardrobe with sliding mirrored doors; wood-effect vinyl flooring and radiator. 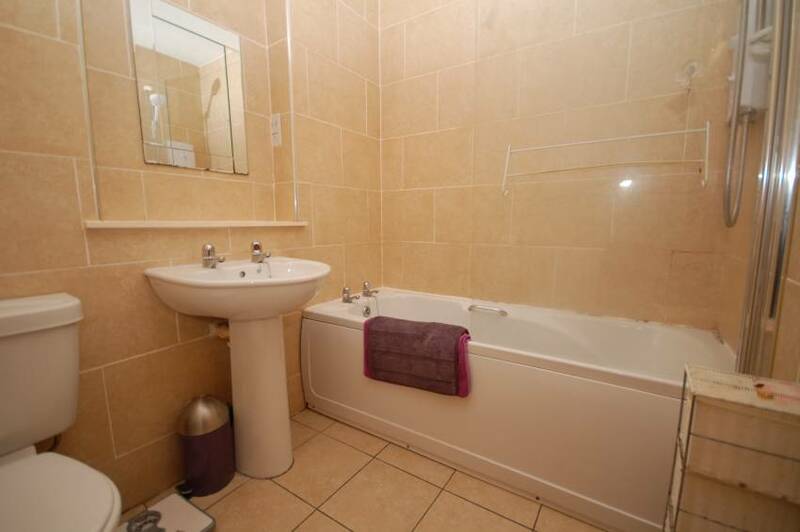 Bathroom: Fully tiled bathroom fitted with white three piece suite comprising W.C, wash hand basin and bath with electric ‘Mira’ shower overhead; radiator. 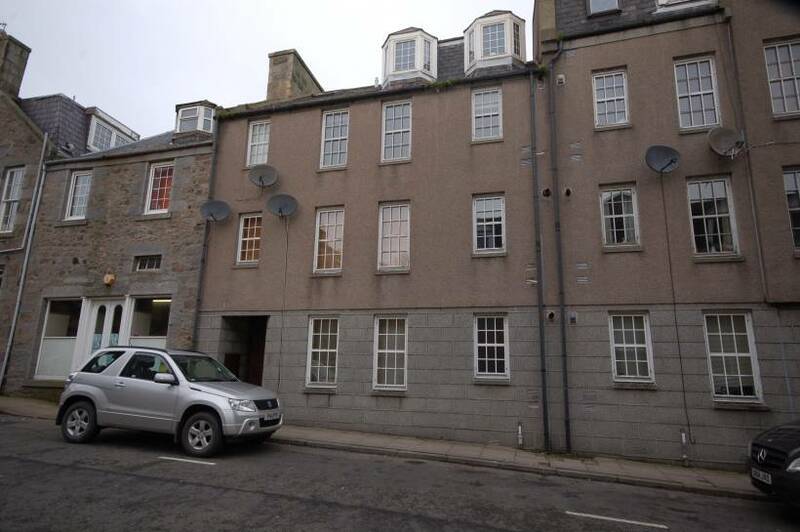 OUTSIDE On street perming parking may be available upon application to Aberdeen City Council. DIRECTIONS From Union Street (at the Music Hall junction) continue straight over into Crown Street. Continue along Crown Street and Marywell Street is situated a short distance along on the left-hand side. LOCATION Marywell Street is situated off Crown Street and is just a few minutes walk from Union Street, where a variety of shops, pubs, clubs, restaurants and leisure facilities are on offer. The recently opened Union Square Development offers a further range of restaurants, shops and also a cinema. Most parts of Aberdeen City are easily accessible by a variety of arterial routes with the location being particularly convenient for those working on the South side of the City.